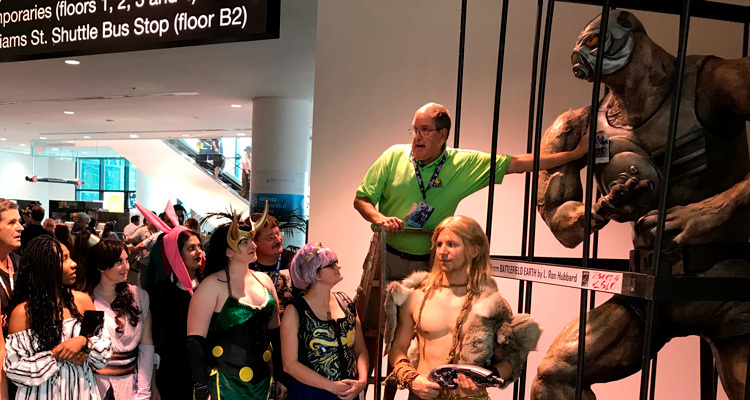 WHO & WHAT: A 9 foot tall alien from the planet Psychlo is captured at Dragon Con. The malevolent alien security chief for Earth, Terl, was captured by the story’s hero’s Jonnie Goodboy Tyler along with Chrissie and Dragon Con President Pat Henry. Terl was made to wear a badge if he wanted to get in. 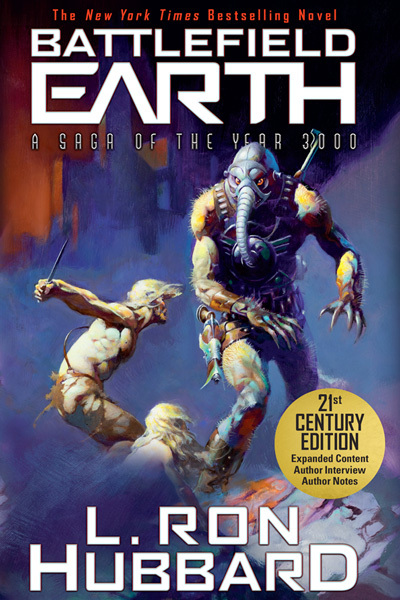 The event celebrates the 21st Century mass market edition of Battlefield Earth: A Saga of the Year 3000 by L. Ron Hubbard, releasing nationally in stores in time for Labor Day. Battlefield Earth is an epic science fiction saga of adventure, daring and courage, when man is an endangered species and the future survival of what’s left of the human race is at stake. Pat Henry, President Dragon Con and John Goodwin, President Galaxy Press, are available for background and/or on-camera interview. WHERE: AmericasMartBuilding Two, Floor 2. Located two blocks west of the Hyatt Regency Atlanta and one block north of the Westin Peachtree Plaza. WHY: To announce the release of the 21st Century Edition of Battlefield Earth book. Originally published in 1982, the novel has gone on to sell over 4 million copies, has been on bestseller lists for over a year and was voted #3 of the top 100-best novels of the 20th century by the Modern Library Readers Poll. Both the trade paperback and audiobook editions hit #1 in the US when released in 2016 and the audiobook won the coveted Audie Award as well.